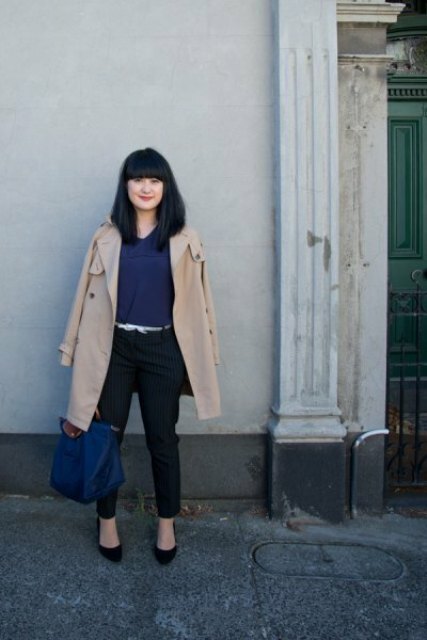 If you love to wear some cool and eye-catching accessories and make your looks more fashionable, then no doubt you should read this article. 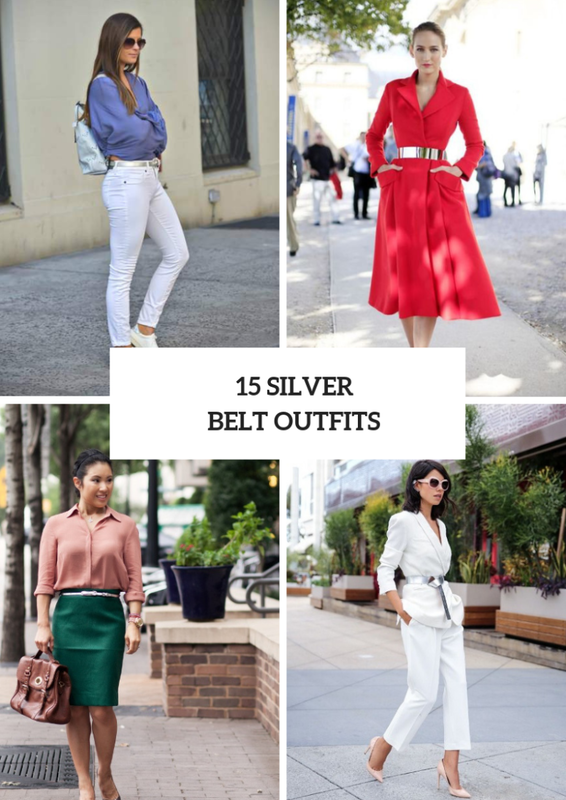 Today I want to share with you excellent outfit ideas with a silver belt that will be perfect for spring and summer days. You can choose a narrow belt for elegant and more official clothes combinations, but if you are looking for casual ideas, then you need to take a silver wide belt and combine it with jeans or shorts. Right now scroll down to see all pics. For warm spring days you can take a black crop top and mix it with a black cardigan, boyfriend cuffed jeans, checked flat shoes, rounded sunglasses, a black leather bag and a silver wide belt. Or you can choose white shorts and pair them with a printed loose ruffled blouse, a narrow belt and patent leather pumps. 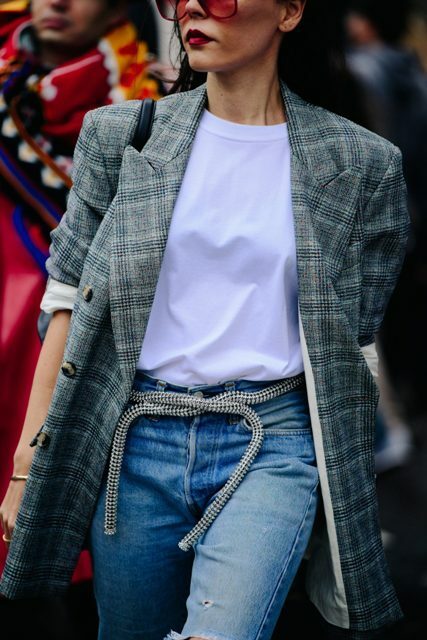 For an early spring you can try to repeat an outfit with distressed jeans, a white t-shirt, a plaid long blazer, a black bag and a silver belt. Wanna create something elegant and chic? Then you can put on a silver belt over a white long blazer, white cropped trousers and pale pink pumps. If you want to make an office styled look (if you don’t have a strict dress code, of course), you can pay an attention to a combination with a pale pink button down shirt, an emerald pencil knee-length skirt, gray patent leather pumps, a silver belt and a brown leather bag. 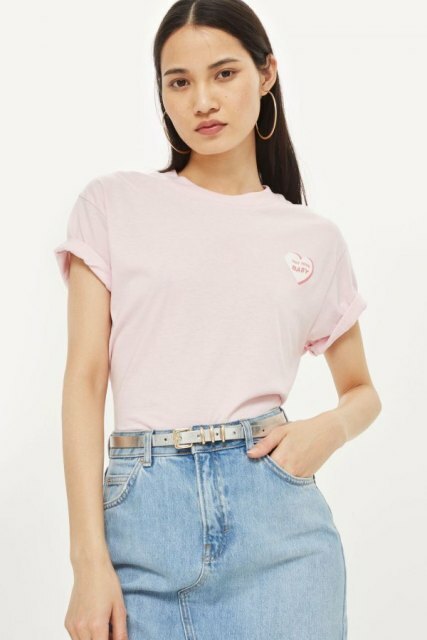 For those who wanna create a casual outfit, I offer to mix a pale pink t-shirt with a denim skirt and a silver belt. Or combine a light blue dress with a belt, a silver clutch and metallic shoes.